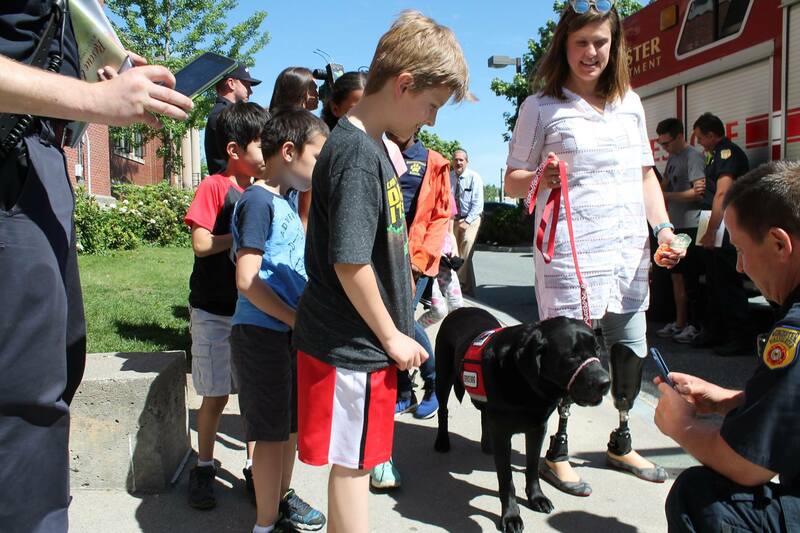 It was early Thursday morning, and excitement and anticipation filled the air as children from Quinsigamond School in Worcester waited for the arrival of some very special guests. 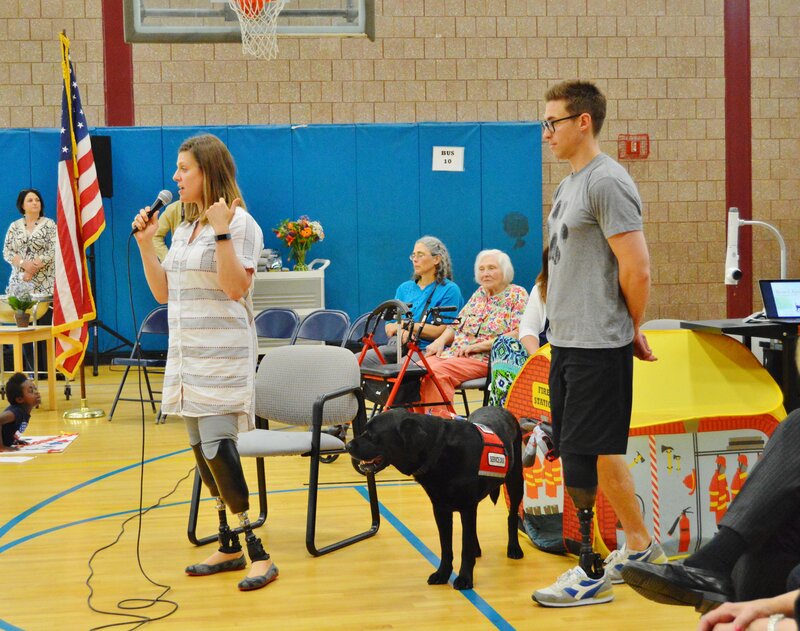 Authors Jessica Kensky and Patrick Downes, along with NEADS Service Dog Rescue, were visiting the school to share their inspirational story of Rescue & Jessica: A Life-Changing Friendship. 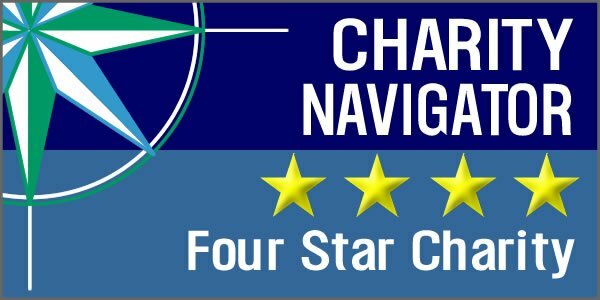 Based on a real-life partnership, this New York Times best-selling children’s picture book is a heartening story of the love and teamwork between a girl and her Service Dog. 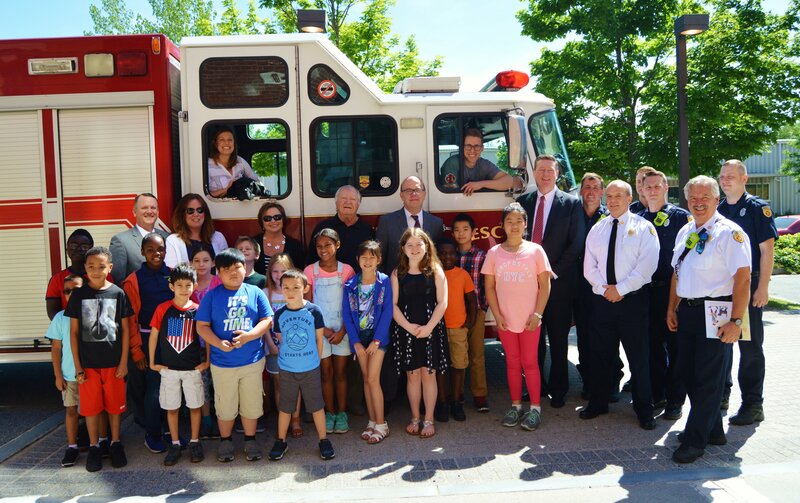 From their thrilling arrival on the Rescue 1 fire truck out of the Franklin St. Station to the closing performance of This Land is Your Land by the children, the morning was a true example of warmth, caring, and community. 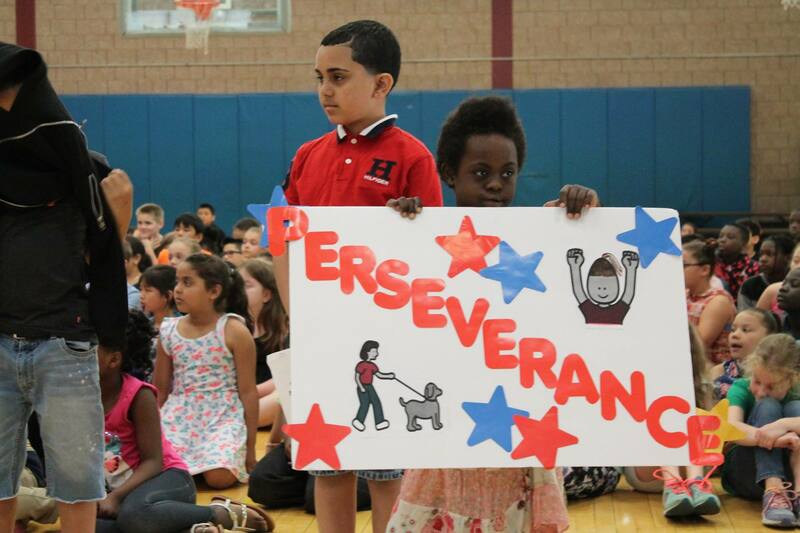 Children lined the hallways and waved American flags as Jessica, Patrick, Rescue and other guests – including Congressman Jim McGovern, Worcester City Manager Edward Augustus, Tim Murray, President and CEO of the Worcester Area Chamber of Commerce, and Worcester Fire Chief Michael Lavoie – made their way to the gym for the reading. 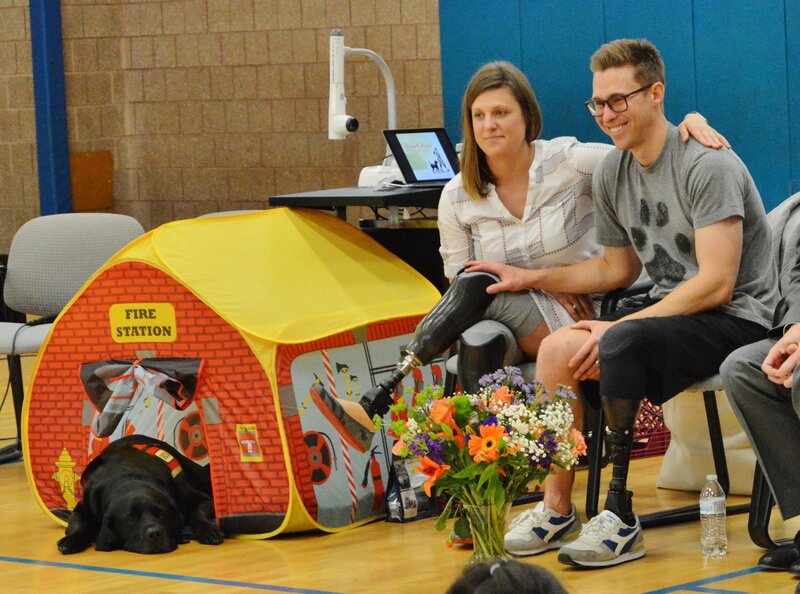 Quinsigamond 2nd, 3rd, and 4th graders were enthralled with Patrick’s animated, engaging telling of the story. The book was further brought to life as each page, filled with its colorful, charming illustrations, was projected on a big screen behind him as he read. Afterwards, the children shared with Jessica and Patrick what the book’s message of resilience, inclusion, and perseverance meant to them, asked some very thoughtful questions about living with adversity, and saw a demonstration of the many ways Rescue helps Jessica in her day-to-day life. 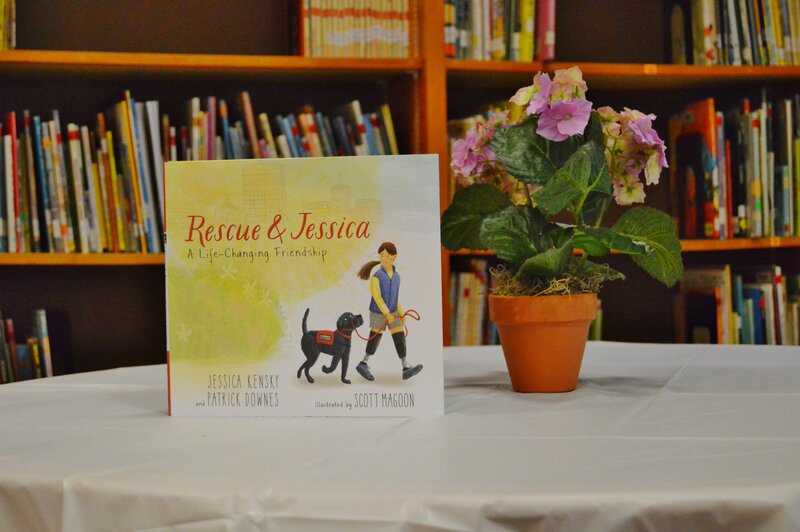 Thanks to the generosity of Bay State Savings Bank, every 2nd, 3rd, and 4th grade class and library in Worcester’s 36 elementary schools will receive a copy of Rescue & Jessica. 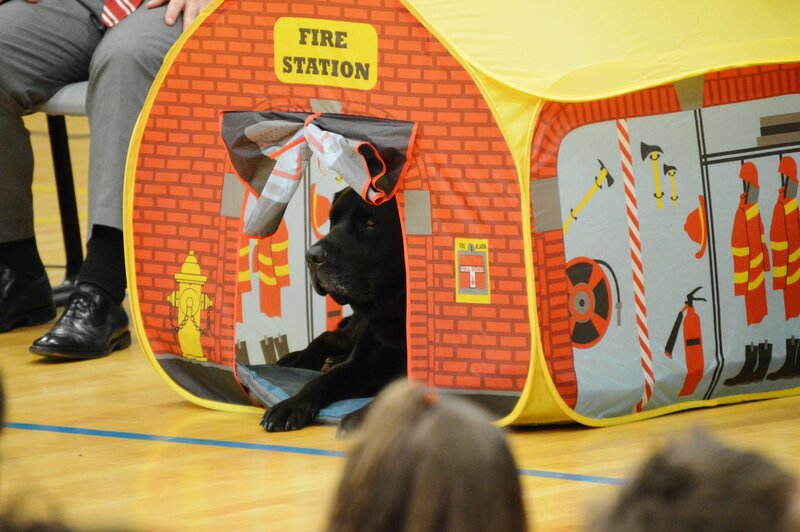 So while the gymnasium is once again being used for gym class and the excitement of the day has started to fade, the story of Rescue & Jessica will continue to touch the lives of Worcester school children for years to come. A COMING HOME. 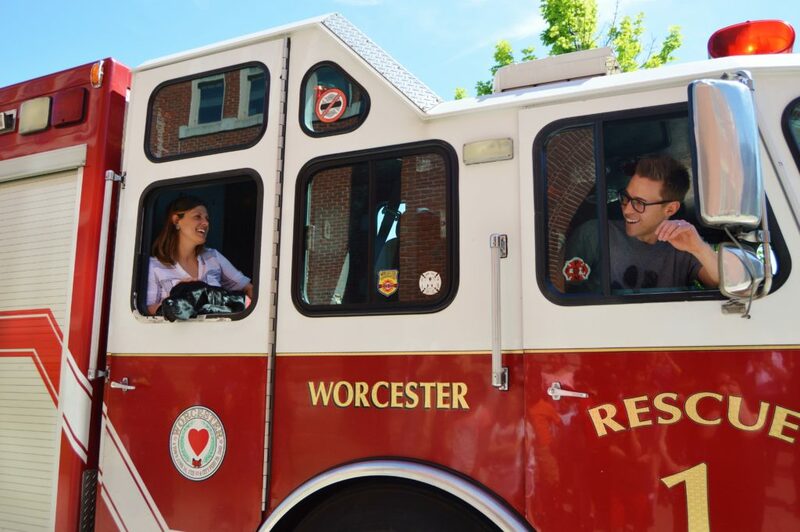 Jessica and Patrick have brought their story to children across the country in the last several months, but this visit to Worcester was in some ways like coming home. 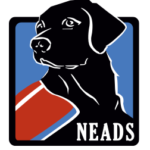 Rescue was named by the Worcester Fire Department, which has a tradition of naming NEADS Service Dogs in honor of various members of the department through the NEADS Name a Puppy Program. These funds are raised through the annual WFD6K (taking place this year on June 3 at Institute Park, Worcester). 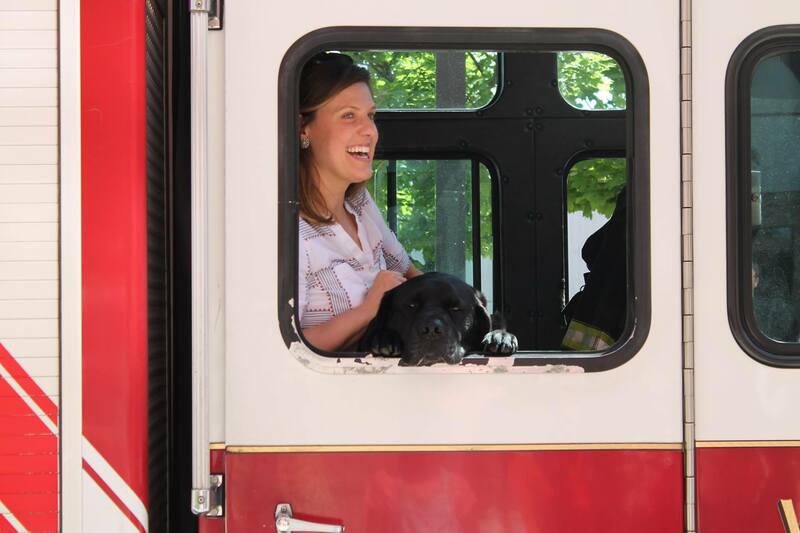 In 2012, Rescue was named in memory of Jon Davies, who rode on Rescue 1 and died searching for survivors in an Arlington Street fire in 2011. Many thanks to all who attended and to those whose support and behind-the-scenes efforts helped make this event possible: Tom Zemaitis of Zemaitis-Baker Insurance Company; Tim Murray, President and CEO of the Worcester Area Chamber of Commerce; Maureen Binenda, Superintendent of the Worcester Public Schools; Lieutenants Pat Chviruk and John Franco of the Worcester Fire Department; Diane Giampa of Bay State Savings Bank; Tracy Miracle of Candlewick Press; and Debbie Mitchell, Principal, Quinsigamond School.